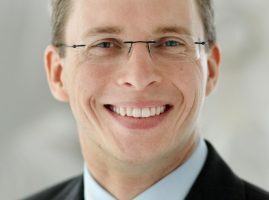 After his diploma in computer science, Martin Kada worked as an academic staff member in the GIS group of the Institute for Photogrammetry at the University of Stuttgart. There he received his doctoral degree in engineering on the topic of multi-scale generation of 3D city models. Three years later he was appointed junior professor for geoinformatics at the University of Osnabrück. Since 2015 he holds a full professorship at Technische Universität Berlin and is head of the chair “Methods of Geoinformation Science”. His research interests include 3D urban environments, particularly their automatic generation from 3D point clouds and their (real-time) visualization.